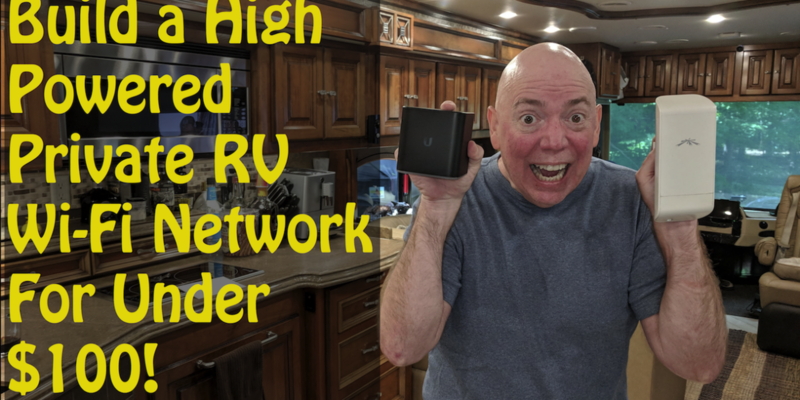 Build a Private RV Wi-Fi System For Under Over $100! Building a Private Wi-Fi System for Under $100! Updated from 2014 with new router! In the photo above, this is all you will end up with at the end. All you will need to do is plug it into an outlet. Then, seeing this is a much more powerful directional antenna/radio, just point the antenna towards the parks closest access point and connect to it. The best placement for the antenna would be pointing out a window. You can use a longer network cable to put the antenna somewhere else if you do not have an outlet close by. You can even put the antenna outside. But I am getting ahead of myself. First things first….what you need to do this. 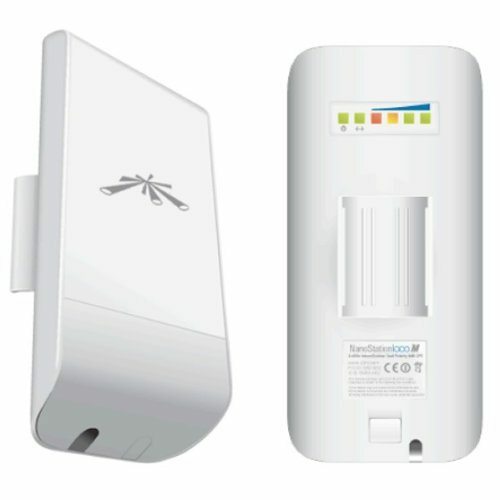 Ubnt NanoStation Loco M2 – This is the directional antenna and powerful radio all built into one nice package. It is made by Ubiquiti which is a carrier grade company. As such, it is not as consumer friendly with wizards and the like, in other words, it is not a fancy looking user interface as it is geared towards someone who knows what they are doing. Do not let that scare you however, as once it is setup, which I walk you through, you will be good to go. NOTE: There is also an M5 unit and some people have bought them thinking it is newer. This is NOT a new version! It is a 5 Ghz version of the radio which most parks don’t support. You can surely buy one also and have both the M2 and M5 and if a park offers 5Ghz, then use that as it is a less crowded frequency and you likely will do better on it. AGAIN…Only if the park supports 5Ghz. If you have no idea what I am referring to, then just be sure to buy the M2. :) Also they have a NanoStation 5AC, this will ONLY WORK with another Ubnt AC product and thus can not be use as a 5Ghs radio. NOTE: You can also use this NanoStation with any router you may choose once it is setup. (Stop video when we get to the AirCube setup.) You would come out of the POE power injector’s LAN port into the WAN port of a router of your choice and use the same steps below (or talked about at the end of the video) to connect to a RV Parks AP. Sorry, I will not be able to help with your own router setup, just too many on the market. 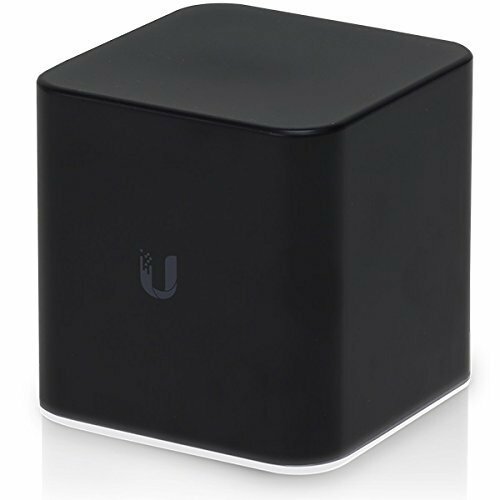 The AirCube below is what we will use for the wireless router as it makes for a nice little package. OR the AirCube ISP – This is a 2.4Ghz only version at a less cost. But the setup is the same. The above one gives you 5Ghz network speeds for your devices which is a nice addition. Two Network Cables – You will need TWO (2) of these. I recommend shielded cables and that is what I linked to. If you already have network cables, then you are all set. If not BE SURE to order TWO. Ubnt NanoStation M2 – A more powerful model of the Loco M2 listed above with double the antenna range for hard to reach access points in a park. (It is also double the height do to the large antenna. Ubnt NanoStation M5 Loco – While most parks always run at 2.5Ghz, thus the need for the M2 unit, you may also consider adding an M5 Loco unit so you could use 5Ghz if the park has it. Or the full size NanoStation M5 (NOTE: This is NOT in place of, but in addition to the M2. You set it up the same way and then just use the one you want.) 5Ghz is a less crowed frequency not most parks currently do not offer it. Now as a reminder, even though you will have a much better chance connecting to the RV parks Wi-Fi service, that does not mean you will have better Internet. The speed depends on a number of things, from the amount of data bandwidth they have coming into the park, to how many people may be on the Wi-Fi network using it. Or the park could even be limiting speed per user among other things. But one thing is for sure, you will have a much better way of connecting to them as well as having a secure Wi-Fi setup inside your coach or RV. As a side benefit, if you have a MiFi, JetPack, Hot-Spot, or something else you use to connect you to the Internet, you can also connect this setup to that just like you would an RV park. This is great for the times you need it, like if the park is just really bad or you are somewhere that does not have Internet. Then all your devices will just stay on your secure Wi-Fi without the need to change to another connection. IMPORTANT NOTE: These Nanostations are very powerful, please DO NOT point it at your our personal HotSpot or even have it close. I would suggest laying it down flat when used with the HotSpot so not to over modulate the radios. Try to be between -50db and -70db when looking at the signal. The video is a little long, 27 minutes , but that does not mean it is difficult. I just happen to go into more detail and explain things along the way. I could have made it 10 minutes but then some people would likely become confused. *** NOTICE 1 *** In order to configure the NanoStation you MUST HAVE a network port in your computer and KNOW HOW TO change the network settings from using DHCP to using a STATIC IP and back again. I use my MacBook showing my screen, so if you have a Mac product, you should be able to follow along. If you use Windows, here is a Google search to help you if needed – CLICK HERE (You will only need to set the IP and Subnet.) NOTE: New MacBooks may not have a network card, and the MacBook Air surely does not. If you need a network adaptor a USB to Ethernet one works great. I use this one in my MacBook Air… Plugable USB to Eithernet. *** NOTICE 2 *** You will also likely need one computer to do the configuration with and another to watch this video as we will be turning off Wi-Fi during the process. If you mess up, don’t worry. You can always reset both units to factory defaults and try again. To do this, with the units powered up, use a toothpick or something to press down and hold the RESET button on each unit for 20 seconds and release. Wait 30 seconds before powering them off. 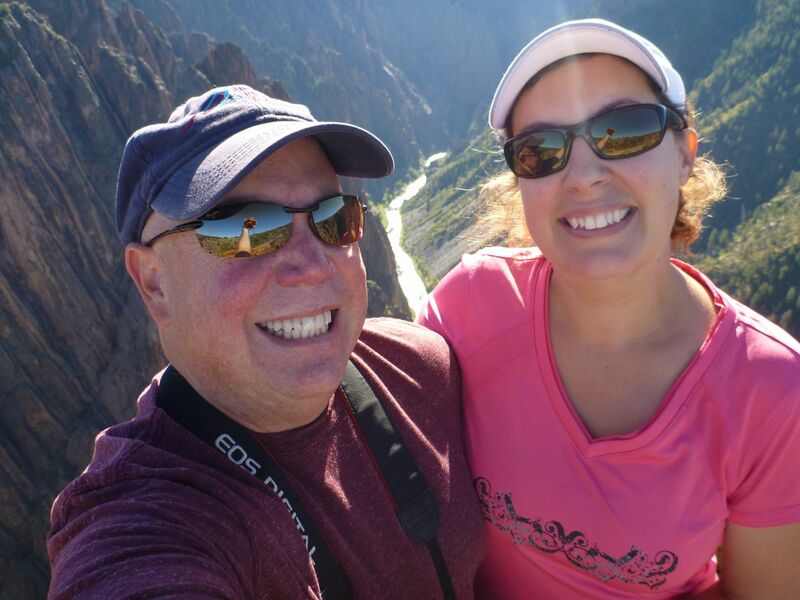 Here is a recap on how to connect your private Wi-Fi network to a RV parks Wi-Fi or to your own Internet data connection… (Like when you go to another RV park or need to use your own Internet data.) Copy the text below and save it if needed. Point the NanoStation towards an access point. Hint…Try to point it towards the main office where the Internet connection usually comes in. Plug in the system if not already plugged in and give it 30 seconds to boot up. FOR AFTER ALL IS DONE…QUICK CONNECT CHEAT SHEET…. 1) Connect to your Wi-Fi SSID. 3) Put in the user name and your password. User name = ubnt Password = What you made it. 4) Click on the WIRELESS tab. 6) Find the Access Point you would like to connect to. (The park or your own data device. )If there are several with the same SSID name you want to connect to, then select the best signal. The first number in the Signal column you want to be closer to zero. -55 is better than -75. 7) At the bottom click LOCK TO AP. 9) Bottom Right of the screen click CHANGE. 10) Top of the screen click APPLY. In under 30 seconds, you should see the antenna lights light up and then you should have access to the Internet. Dealing with Captive Portal or “Agree” Pages: Some parks require you to “agree” or login with a user name and password before you have access. So once you connect to the park with the NanoStation, while on your Wi-Fi network, the first time you open your web browser the “captive portal” page will come up asking you to agree or log in. Once you do, the portal will note the MAC address of the NanoStation and then allow access to anything on your local Wi-Fi network. NOTE: If your browser defaults to a open a webpage that is HTTPS (vs HTTP) then the captive portal can not show up as it is not HTTPS active. So be sure you are trying to go to a site that is not HTTPS. (Ie…Facebook, Google, GMail are all examples of HTTPS sites that people have their browsers default to.) So try another site…any site…maybe ours http://Bott.net, and the captive portal page should come up for you. Also some campgrounds auto log you out after X hours or at the start of a new day. If this is the case you need to AGREE again. Just a heads up. *NOTE on WEP Security: If the RV Park uses WEP as an encryption, then you will have try a few settings to connect to the park. WEP is hardly ever used anymore, but I just had a person need help connecting. You will more than likely need to change KEY TYPE from HEX to ASCII if they give you a actual word vs a bunch of characters. With each change you will have to click CHANGE at the bottom and then APPLY to see if it worked. If the lights on the back of the NanoStation light up, then you connected. If not, try again by changing the TYPE to be Shared Key. WHY DO I SEE SO MANY AP’s FOR THE PARK? Commercial radios look at the MAC address for the Wi-Fi AP’s it sees. Every Wi-Fi connected device has it own unique MAC address. So it is reporting everything it sees. A computer or device only looks for the SSID’s and reports the one that it sees that has the strongest signal even if there are multi AP’s with the same SSID. I DO NOT SEE A WAY TO SELECT THE PARKS AP: As far as not seeing the radio buttons…this can happen for usually one of three reasons. One, the park is using old, not longer supported WEP security. Two, the AP you are seeing is actually being used as a BRIDGE to connect two radios together like it was a network cable. Three, the system is setup to detect routers like the NanoStation and not allow connections from them. Now you can get around the last one by changing the MAC address of the NanoStation to that of your computers MAC address. For example, I set mine to be the MAC address of an old device I no longer use. This is another good thing about commercial gear, you can do this. :) (You will find it in the settings if you look though them if you care to try.) LAST, I read that someone said they’d successfully connected by manually entering SSID and password and security settings into the Wi-Fi page vs using SELECT it and it connected! REMINDER NOTICE: These Nanostations are very powerful, please DO NOT point it at your our personal HotSpot or even have it close. I would suggest laying it down flat when used with the HotSpot so not to over modulate the radios. Try to be between -50db and -70db when looking at the signal. We kindly ask you share this as the topic comes up in other places so it will help others. Enjoy your own personal secure Wi-Fi connection. What is the power rating? I have a 2000mw booster now, and 9Dbi antenna. Will this one get a better connection? This is 13db. Not sure what the radio itself is. I just wish the airgateway would support AC for inside the coach.. I love its form factor. I Just drilled a hole thru the side of the entertainment cabinet so only the small antenna is visible. Wouldnt this work: https://store.amplifi.com/products/amplifi-mesh-router cost a bit more than the ISP version….. If you mean in place of the NanoStation and AirCube…Nope as it will only mesh with other Amplifi products. If you mean can you use it instead of the AirCube, yes, as it is a router. You can use any router for that matter. Just program the NanoStation as I show and plug into the WAN port of any router. You will still be able to reach the NanoStation at 192.168.2.1. Understand, I was looking to help people build a low cost, yet good system. If you spend more, no reason to do this at all as you might as well buy a retail solution. Thanks for another informative post. I follow your old video on this subject but did not have much luck with router part so I just used an old router I had lying around. When I saw this I ordered the cube and set it up per your instructions. It is working fine but I have noticed that my speeds are very slow using the cube. Are the additional settings I can change that might improve speeds? Thanks in advance. Hi…Hard to say as it could be a number of things. Did you have the same issue with the mother router you were using? Are you still in the same place? You can also try connecting to your computer directly via one of the LAN ports on the AirCube and then see the speed. It should be much faster as you will always loose speed via a Wi-Fi connection. But the question is how much loss vs that connection and wi-fi and also between that and the other router. Also assuming that the other router you were using was 2.5 and not 5g as that would make a difference. I would check to see you are not on the same channel 1,6,11 that the NanoStation is using. You can’t change the NanoStation channel as it has to use whatever channel the AP you are connecting to, but you can change the channel the AirGateway is using. (If the channel is the same, and you are close to both, you will get interference and it will be slower.) Hope some of this helps. David, Is the nanostation loco m2 more powerful than the camp pro 2? Want to use the nanostation loco m2 with onstar hotspot in GMC Canyon pickup any suggestions? Know I will have to keep battery charged with a battery tender. Sorry, no idea as I have never used or seen one. Any reason you did not go with the airCube AC (w/ 2.4 & 5Ghz) instead of the ISP (2.4Ghz only)? Cost. Keeping it to under $100 as a lot of RV’er just need something to help and not anything else. Appreciate your response and your great walk thru. David, just finished putting my system together, talk about easy. I just followed the video and I was connected. I will say that I did spend a little more than the $100.00 you mentioned but still well worth it. I got the Air Cube AC, Nano M2, wall mount and cable from Amazon and my cost was 209.00. I still think it was a super value. Right now I have it connected and decided to see how many connections I could use on the cube so I have a firestick, 2 Ipads, 2 IPhones and Alexa and everything runs great. All of that and the Nano M2 is mounted on the inside drivers window facing the RV park antenna and the reception is great . This video was a great help. David, I am extremely impressed with this video presentation. As an IT person myself, I know how hard it is to put together a tutorial that walks users through such a difficult setup process. I did not hit one single snag following your video, This was absolutely fantastic! Ubiquiti products tend to have a big learning curve, but once you are set up there isn’t much better out there. Also, your suggestions for the nanostation and the aircube were great and well worth the investment. The nano has a huge range, and as an Xfinity mobile customer, I can bypass park wifi and connect to nearby Xfinity modems in peoples homes and get unlimited and unthrottled wifi. So this is a lifesaver for me, as I work when on the road and need strong wifi. Thanks again! David, Thanks for the great video and especially the update for the Aircube. Just got my system up and running. I went with the AirCube AC (in case I ever go 5Mhz) and went with the larger nano station. That pushed the cost more up towards $200 but I still think it is a better system than most of the off-the-shelf systems. I did have problem with the Aircube when I went to update the firmware. It bricked (became unresponsive) on me. Apparently this is not an uncommon thing. Fortunately, the average Joe can get it back running. Go to the Ubiquiti forum and look for how to get the Aircube into TFTP mode (yeah I know, more techno-speak). Then google ‘how to perform a TFTP recovery’ and go to the Ubiquiti Youtube video and follow it. They do the recovery on a Nanostation but the Aircube is exactly the same – just use your new firmware file. It’s a little more technical than your video here but not too bad. In addition, I bought a 12V to 24V step up boost converter (available on good ol’ Amazon about $16) and using a tip from the Buslandia.net folks, made a cord to connect the converter to the Aircube. Now I can run my system straight off of 12V without having to flip on a large inverter. It’s a great system. Sitting in my house my laptop finds 11 wifi sites. This set up with the antenna just lying on the couch finds 42. Can’t wait to get it fully installed in the RV. Think I’ll put the antenna on the Batwing stand. That way I can raise/rotate it from inside the RV. Fun project. Thanks again David! Great to read you are all set and even though you had to go though some things, you are still happy. Great job on the 12V…In our coach our inverter is on all the time as we are an all electric coach, so for us, it does not matter as much. Congrats. David this is a great tutorial but somewhere I must be missing something. My setup works but I have tried many times and still cannot get from my laptop to the nanostation to change AP. Because some of my servers and printers are static in the 2.0 network I chose to use 192.168.20.1 for my nanostation and 192.168.2.1 for my router. When I want to change AP I have to connect my laptop to the nanastation via ethernet. I have tried it with my Windows10 laptop through a Dlink router and receive the dialog unable to connect and my friends system an Apple laptop with a TP841n router which gets “Error 403 Forbidden” across the screen. Any idea where I am dropping the ball? Hi…Nothing really you can use to point you to the right Access Point. You need to know where they are as you should be able to spot them in the park if they have them around. Then all you do is point the NanoStation and do a scan to see what you see. Then you can turn it say 90 degrees and scan again and see if you get better signal. Once you find the AP you want to connect to, do so. Then after connected you go back to the main page of the NanoStation and you can see the signal. You then can move the AP around and see the signal change. Just know that that -55 is better than -70. You want the signal moving towards zero. Hope this helps. Hi, great work on the video. I have just configured an airCube along with a Mikrotik Groove, had a few teething issues but finally got it running and updated firmware on both devices. Good performance to my phone but the IPad doesn’t like something, can see it connected but times out. Still working on that. Given I’m not a whiz on computers your tips were most useful. Thank you for this wonderful tutorial! Hi…It’s in the NanoStation. Clone MAC is the setting if I recall correctly and I think it is under the NETWORK tab. THANK YOU!!! Easy to follow instructions and this is a great solution, no matter the cost. The <$100 price just made it even better.